While I was working at the “German research center for artificial intelligence” I was the lead mechanical engineer for robotic cars. My job in this project was the mechanical concept design, suspension layout, component selection, mechanical design, production, integration and test. I also got invided by a company called “ZOOX” in silicon valley to build such vehicle for them, but I decided to stay in Bremen. This video shows the “Sherpa TT”, a hybrid suspension robot. Such sytem is highly adaptive to the ground and allows to shift the center of gravity of the robot and makes it extremly versatily in all terain. I designed and build this suspension using structural optimization and additive manufacturing. Big challange: The whole system had to be waterproof and corrosion resistant! To test autonomous driving algorithms, a fleet of four self-driving cars was required. For safety reasons, all autonomous functions had to be overrideable by the human driver. I developed a retrofit-set for electromechanical beraking and steering which allows the driver to keep control in in the event of a computer failure and installed the system on four electric cars (MIA). 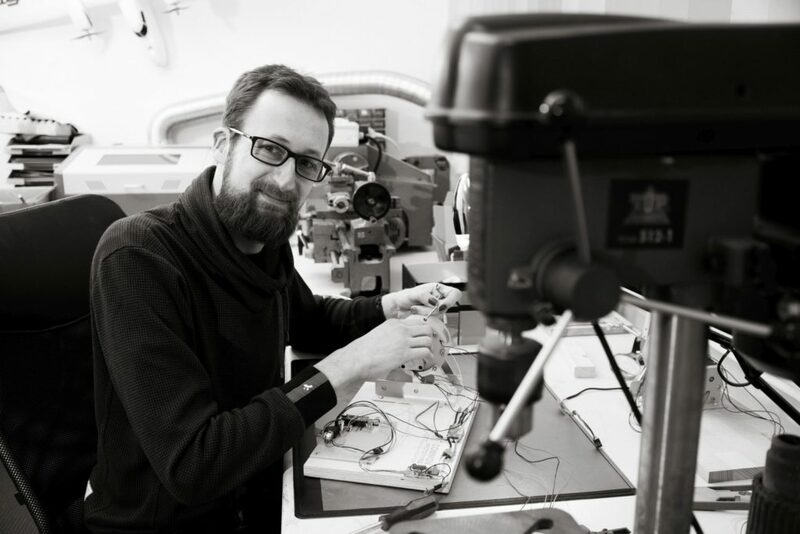 Together with my friend Timo I developed a very robust and precise 3D-printer, The design was is based on lasercut aluminium plates, which is super robust, precise and redurces the required number of parts. We published the design as open-source project and gave courses on how to build such printer. Minimum 60 KnutPlot-printers have been build, some of them run almost daily for four years now! One of my customers as an independent product developer is “Daniel-Golz”, a professional hair coloring artist. His request was to build and produce the perfect mixing bowl for mixing and applying hair dye! These bowls are interlocking, stackable, chemical resistant and easy to clean and get produced locally by an experienced company in Bremen. I did all the design work, from scratch to series-production. 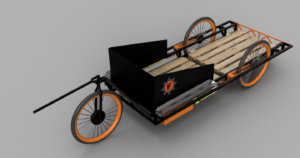 For an international logistics comopany I designed a bike-trailer for bulky goods. The concept allows to easily load and unload two euro-palletes without additional tools like a forklift. Also the electric drivetrain allows to use the vehicle as hand trolley. The design was so innovative, it even got a patent!